With their NHS in hand, organizations can now easily calculate and understand the net impact of their hiring quality. Organizations should then compare the net return they are receiving in relation to the amount spent to recruit – i.e. Hiring Budget. As an example, three organizations hire 10 people with a New Hire Payroll of $1MM. However, the organizations vary dramatically in terms of their ability to hire top quality talent as shown below. As we see above, Sad Sad World LLC clearly under-invests in recruiting. They lack the ability and resources to attract candidates. Managers are not getting the pipeline they need, requisitions remain open way too long, therefore the business is not agile. Compromises are made around quality which results in numerous bad hires. The direct financial impact of all of this is a loss of -$500k. On the other end of the spectrum, Rock Stars Only, Inc. approaches hiring differently, by resourcing and supporting their hiring efforts with almost 3x the amount Sad Sad World LLC does. This Hiring Budget supports all recruiting efforts. When paired with more high-quality hires than low-quality hires resulting in a positive Net Hiring Score, Rock Stars Only Inc. generates an incremental $1MM of return. Team Not Bad has a mediocre Hiring Velocity but average Hiring Budget. 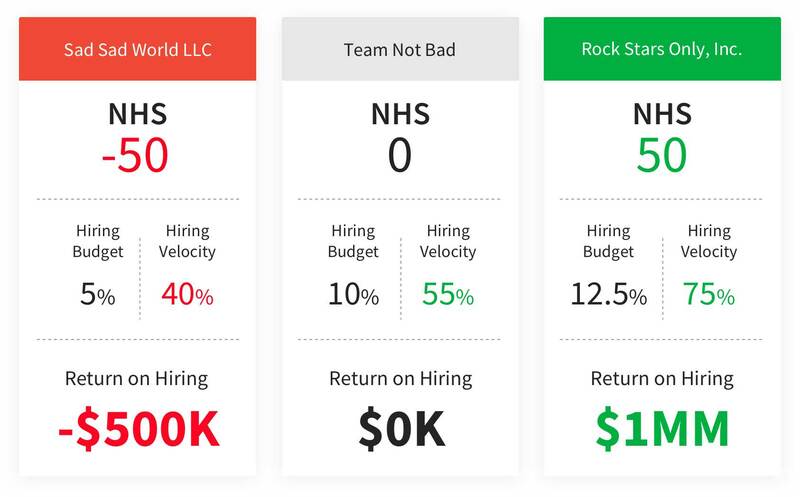 While these metrics are certainly better than Sad Sad World LLC, Team Not Bad makes the same number of good hires as they do bad (NHS of 0) which means the financial return of hiring to the organization is $0. Again, this is better than a negative financial impact, but certainly not a number you’d want to share in a board meeting. Sad Sad World LLC should shut down all hiring until they go back and assess where they are failing to create Hiring Success, the recipe for which we will discuss in the very next section. With all this said, Hiring Success is now measurable. 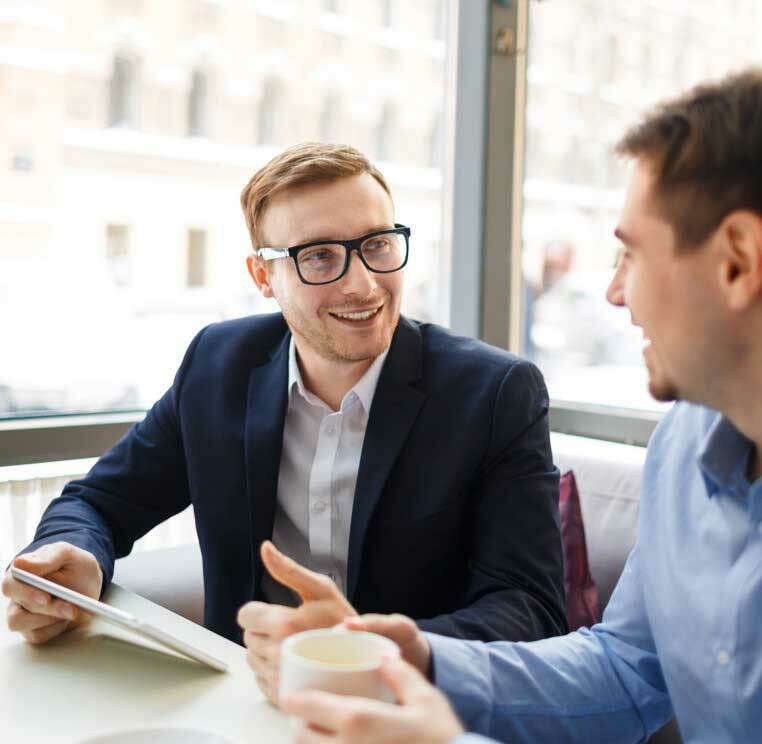 Every organization needs to understand their hiring process and how it impacts Hiring Velocity. They can then revise their Hiring Budget to optimize Return on Hiring. These metrics help guide every organization on the urgency of addressing their hiring approach.